Node.js streams have a reputation for being hard to work with, and even harder to understand. Well I’ve got good news for you — that’s no longer the case. 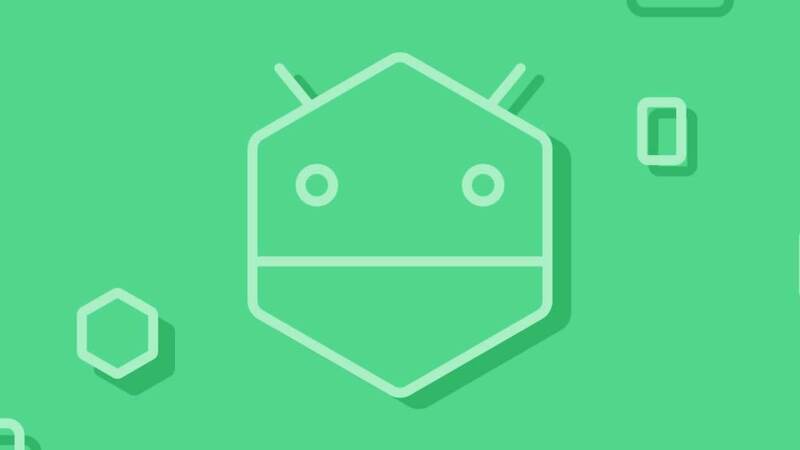 Over the years, developers created lots of packages out there with the sole purpose of making working with streams easier. 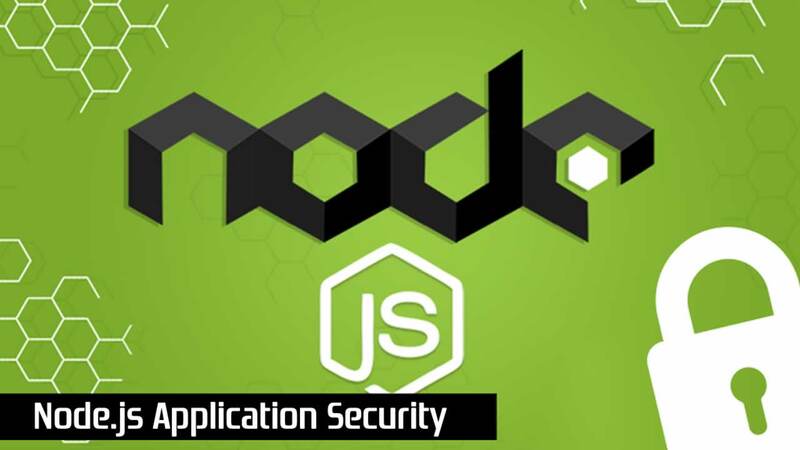 But in this article, I’m going to focus on the native Node.js stream API. Streams are collections of data — just like arrays or strings. The difference is that streams might not be available all at once, and they don’t have to fit in memory. This makes streams really powerful when working with large amounts of data, or data that’s coming from an external source one chunk at a time. However, streams are not only about working with big data. They also give us the power of composability in our code. Just like we can compose powerful linux commands by piping other smaller Linux commands, we can do exactly the same in Node with streams. 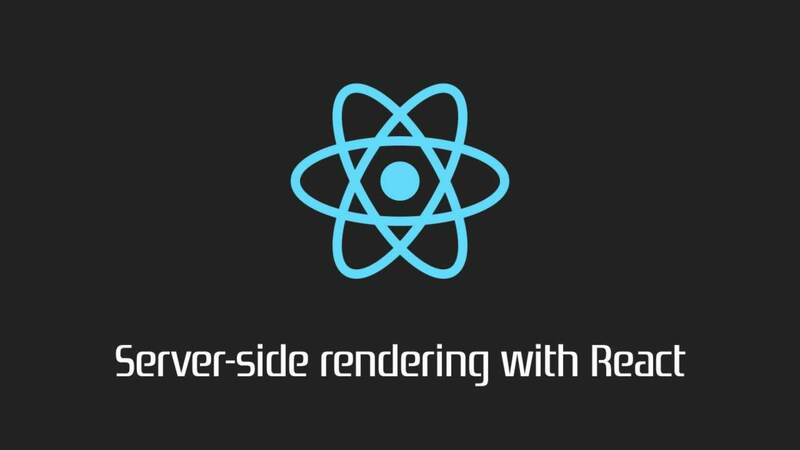 The list above has some examples for native Node.js objects that are also readable and writable streams. Some of these objects are both readable and writable streams, like TCP sockets, zlib and crypto streams. Notice that the objects are also closely related. 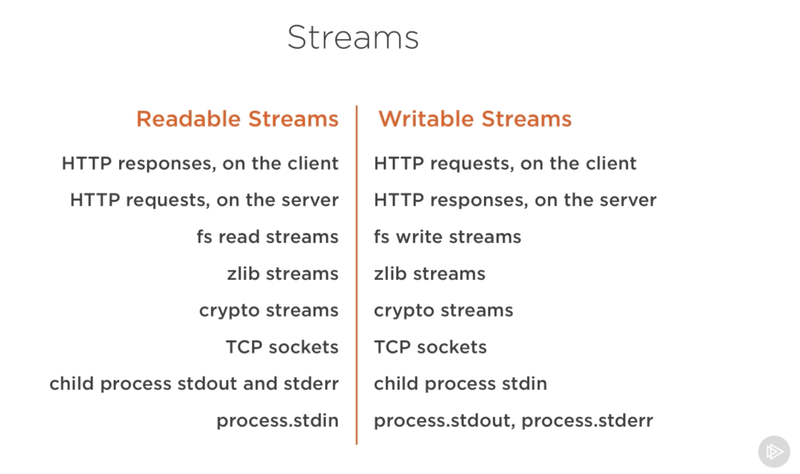 While an HTTP response is a readable stream on the client, it’s a writable stream on the server. This is because in the HTTP case, we basically read from one object (http.IncomingMessage) and write to the other (http.ServerResponse). Also note how the stdio streams (stdin, stdout, stderr) have the inverse stream types when it comes to child processes. This allows for a really easy way to pipe to and from these streams from the main process stdio streams. Theory is great, but often not 100% convincing. Let’s see an example demonstrating the difference streams can make in code when it comes to memory consumption. Look what I used to create that big file. A writable stream! The fs module can be used to read from and write to files using a stream interface. In the example above, we’re writing to that big.file through a writable stream 1 million lines with a loop. Running the script above generates a file that’s about ~400 MB. When the server gets a request, it’ll serve the big file using the asynchronous method, fs.readFile. But hey, it’s not like we’re blocking the event loop or anything. Every thing is great, right? Right? Well, let’s see what happens when we run the server, connect to it, and monitor the memory while doing so. 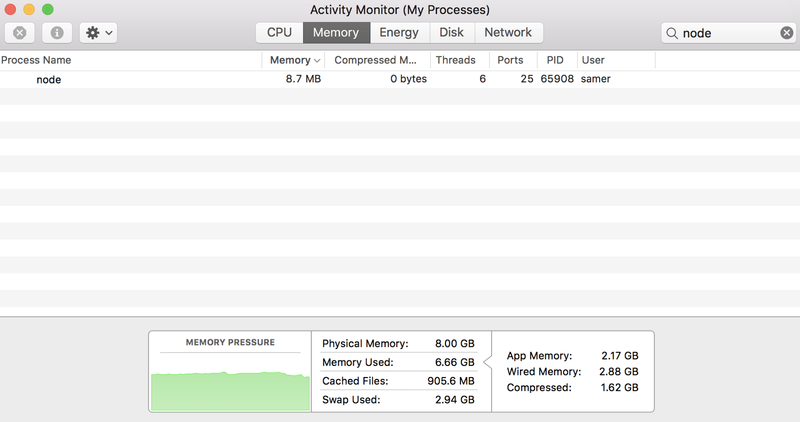 Wow — the memory consumption jumped to 434.8 MB. We basically put the whole big.file content in memory before we wrote it out to the response object. This is very inefficient. The HTTP response object (res in the code above) is also a writable stream. This means if we have a readable stream that represents the content of big.file, we can just pipe those two on each other and achieve mostly the same result without consuming ~400 MB of memory. When a client asks for that big file, we stream it one chunk at a time, which means we don’t buffer it in memory at all. The memory usage grew by about 25 MB and that’s it. You can push this example to its limits. Regenerate the big.file with five million lines instead of just one million, which would take the file to well over 2 GB, and that’s actually bigger than the default buffer limit in Node. If you try to serve that file using fs.readFile, you simply can’t, by default (you can change the limits). But with fs.createReadStream, there is no problem at all streaming 2 GB of data to the requester, and best of all, the process memory usage will roughly be the same. Ready to learn streams now? 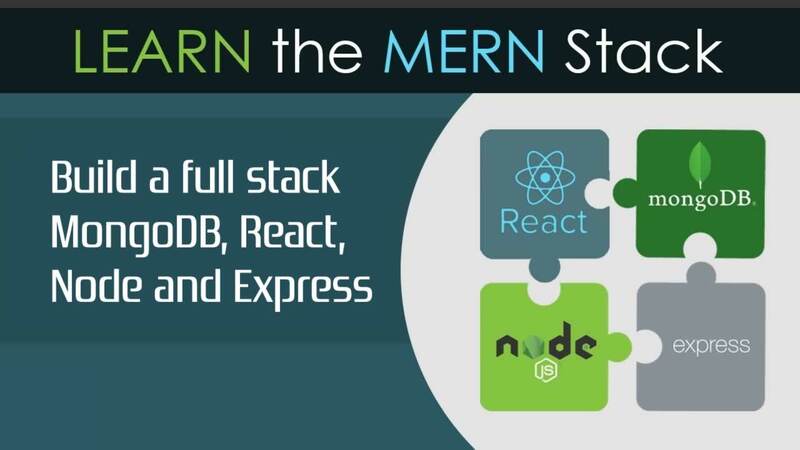 There are four fundamental stream types in Node.js: Readable, Writable, Duplex, and Transform streams. A readable stream is an abstraction for a source from which data can be consumed. An example of that is the fs.createReadStream method. A writable stream is an abstraction for a destination to which data can be written. An example of that is the fs.createWriteStream method. A duplex streams is both Readable and Writable. An example of that is a TCP socket. All streams are instances of EventEmitter. They emit events that can be used to read and write data. However, we can consume streams data in a simpler way using the pipe method. The pipe method is the easiest way to consume streams. It’s generally recommended to either use the pipe method or consume streams with events, but avoid mixing these two. Usually when you’re using the pipe method you don’t need to use events, but if you need to consume the streams in more custom ways, events would be the way to go. Beside reading from a readable stream source and writing to a writable destination, the pipe method automatically manages a few things along the way. For example, it handles errors, end-of-files, and the cases when one stream is slower or faster than the other. The events and functions are somehow related because they are usually used together. The end event, which is emitted when there is no more data to be consumed from the stream. The drain event, which is a signal that the writable stream can receive more data. The finish event, which is emitted when all data has been flushed to the underlying system. Events and functions can be combined to make for a custom and optimized use of streams. 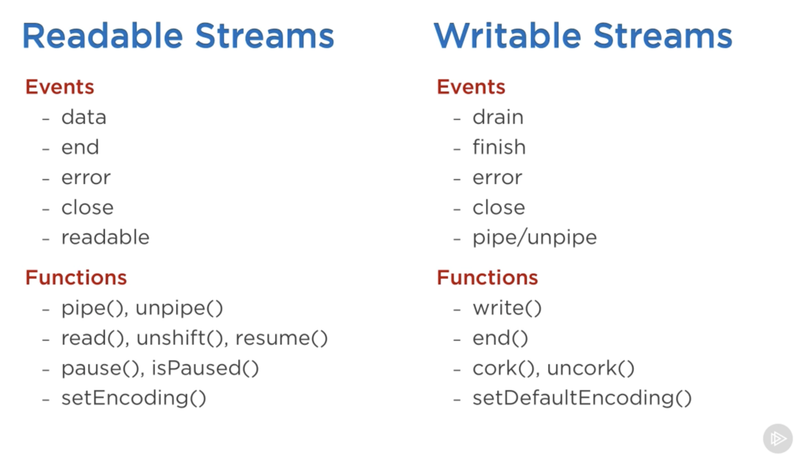 To consume a readable stream, we can use the pipe/unpipe methods, or the read/unshift/resume methods. To consume a writable stream, we can make it the destination of pipe/unpipe, or just write to it with the write method and call the end method when we’re done. Those modes are sometimes referred to as pull and push modes. All readable streams start in the paused mode by default but they can be easily switched to flowing and back to paused when needed. Sometimes, the switching happens automatically. 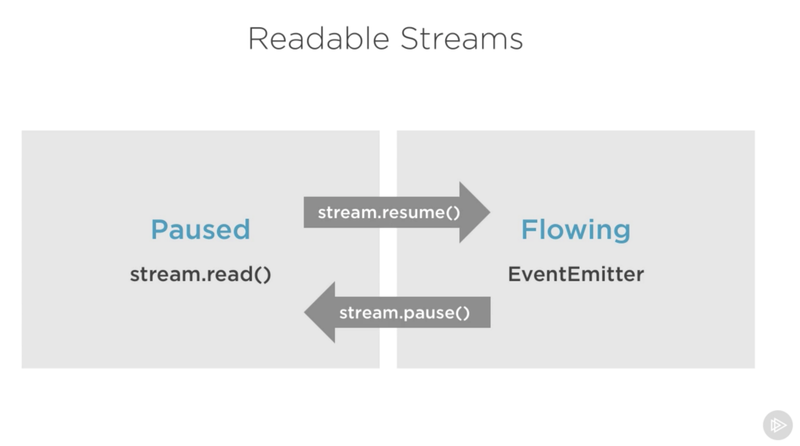 When a readable stream is in the paused mode, we can use the read() method to read from the stream on demand, however, for a readable stream in the flowing mode, the data is continuously flowing and we have to listen to events to consume it. In the flowing mode, data can actually be lost if no consumers are available to handle it. This is why, when we have a readable stream in flowing mode, we need a data event handler. In fact, just adding a data event handler switches a paused stream into flowing mode and removing the data event handler switches the stream back to paused mode. Some of this is done for backward compatibility with the older Node streams interface. To manually switch between these two stream modes, you can use the resume() and pause() methods. When consuming readable streams using the pipe method, we don’t have to worry about these modes as pipe manages them automatically. The task of implementing the streams. The task of consuming them. So far we’ve been talking about only consuming streams. Let’s implement some! Stream implementers are usually the ones who require the stream module. To implement a writable stream, we need to to use the Writable constructor from the stream module. However, I prefer the simpler constructor approach. We just create an object from the Writable constructor and pass it a number of options. The only required option is a write function which exposes the chunk of data to be written. This write method takes three arguments. The chunk is usually a buffer unless we configure the stream differently. The encoding argument is needed in that case, but usually we can ignore it. The callback is a function that we need to call after we’re done processing the data chunk. It’s what signals whether the write was successful or not. To signal a failure, call the callback with an error object. In outStream, we simply console.log the chunk as a string and call the callback after that without an error to indicate success. This is a very simple and probably not so useful echo stream. It will echo back anything it receives. To consume this stream, we can simply use it with process.stdin, which is a readable stream, so we can just pipe process.stdin into our outStream. When we run the code above, anything we type into process.stdin will be echoed back using the outStream console.log line. There is a simple way to implement readable streams. We can just directly push the data that we want the consumers to consume. When we push a null object, that means we want to signal that the stream does not have any more data. To consume this simple readable stream, we can simply pipe it into the writable stream process.stdout. When we run the code above, we’ll be reading all the data from inStream and echoing it to the standard out. Very simple, but also not very efficient. // there is a demand on the data... Someone wants to read it. While the consumer is reading a readable stream, the read method will continue to fire, and we’ll push more letters. We need to stop this cycle somewhere, and that’s why an if statement to push null when the currentCharCode is greater than 90 (which represents Z). This code is equivalent to the simpler one we started with but now we’re pushing data on demand when the consumer asks for it. You should always do that. With Duplex streams, we can implement both readable and writable streams with the same object. It’s as if we inherit from both interfaces. By combining the methods, we can use this duplex stream to read the letters from A to Z and we can also use it for its echo feature. We pipe the readable stdin stream into this duplex stream to use the echo feature and we pipe the duplex stream itself into the writable stdout stream to see the letters A through Z.
It’s important to understand that the readable and writable sides of a duplex stream operate completely independently from one another. This is merely a grouping of two features into an object. A transform stream is the more interesting duplex stream because its output is computed from its input. 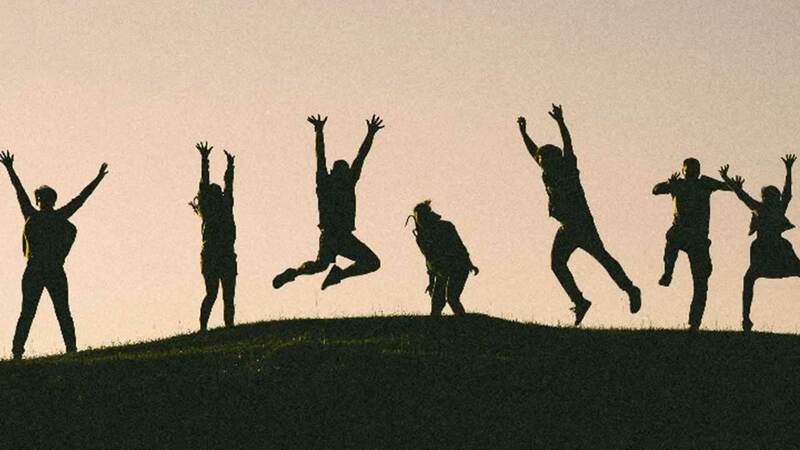 For a transform stream, we don’t have to implement the read or write methods, we only need to implement a transform method, which combines both of them. It has the signature of the write method and we can use it to push data as well. In this transform stream, which we’re consuming exactly like the previous duplex stream example, we only implemented a transform() method. In that method, we convert the chunk into its upper case version and then push that version as the readable part. We pass the input string (for example, “a,b,c,d”) through commaSplitter which pushes an array as its readable data ([“a”, “b”, “c”, “d”]). Adding the readableObjectMode flag on that stream is necessary because we’re pushing an object there, not a string. We then take the array and pipe it into the arrayToObject stream. We need a writableObjectMode flag to make that stream accept an object. It’ll also push an object (the input array mapped into an object) and that’s why we also needed the readableObjectMode flag there as well. The last objectToString stream accepts an object but pushes out a string, and that’s why we only needed a writableObjectMode flag there. The readable part is a normal string (the stringified object). Node has a few very useful built-in transform streams. Namely, the zlib and crypto streams. You can use this script to gzip any file you pass as the argument. We’re piping a readable stream for that file into the zlib built-in transform stream and then into a writable stream for the new gzipped file. Simple. 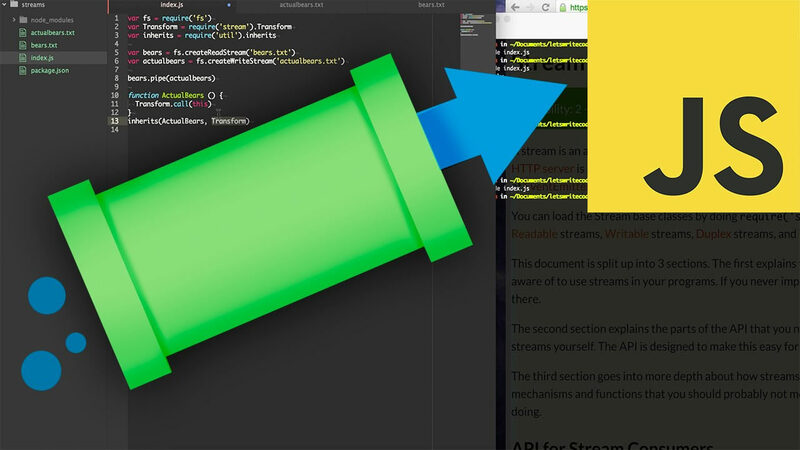 So with the pipe method, we get to easily consume streams, but we can still further customize our interaction with those streams using events where needed. This reportProgress stream is a simple pass-through stream, but it reports the progress to standard out as well. Note how I used the second argument in the callback() function to push the data inside the transform() method. This is equivalent to pushing the data first. The script above compresses and then encrypts the passed file and only those who have the secret can use the outputted file. We can’t unzip this file with the normal unzip utilities because it’s encrypted. Assuming the passed file is the compressed version, the code above will create a read stream from that, pipe it into the crypto createDecipher() stream (using the same secret), pipe the output of that into the zlib createGunzip() stream, and then write things out back to a file without the extension part. That’s all I have for this topic. Thanks for reading! Until next time!